Police today charged 19-year-old Omarie Winter with possession of an unlicensed firearm and unlawful possession of ammunition. 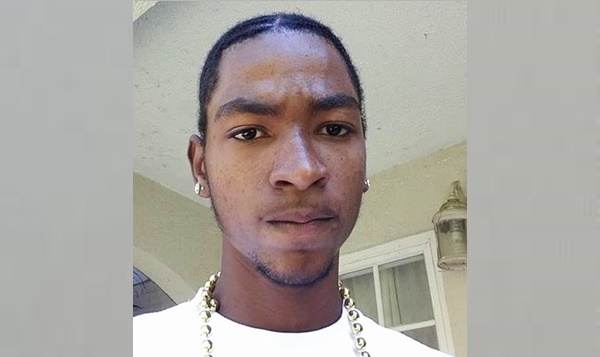 He was among five persons nabbed during an early morning search of a residence he occupied in what police said is the Nibbs Estate area of Long Trench, Tortola. The law enforcers said they found a 45 millimeter handgun, and a loaded magazine. The other four persons taken into custody this morning were released, said the Royal Virgin Islands Police Force (RVIPF). The cops said investigations are continuing in the matter. Commissioner of Police Michael Matthews said he is delighted when operations of the sort are successful. “I wish to reassure our communities that we regularly carry out operations such as these. Not all of them are reported because not all result in successful finds. But we persevere nevertheless. In today’s operation, not only were we able to remove yet another illegal firearm from our streets, but charges were laid in the matter. I consider this a success not only for my officers, but for the people who count on us to keep our communities safe,” added the RVIPF. It is not the first time that Winter is being charged with gun possession. In fact, he was recently released from custody after been locked up for several months in relation to a September 2015 incident. In that incident, police nabbed him and other young men during a gun-find in the area of Road Town known as Ghetto/Crabbe Lot. Furthermore, Winter was charged with assault occasioning actual bodily harm in relation to the alleged beating of a correctional officer at Her Majesty’s Prison in May last year. The discovery made today brings to at least three, the number of illegal guns found in the British Virgin Islands since the start of the year. In the previous matters, the RVIPF had reported that its members found a semi-automatic pistol on the beach in Cane Garden Bay. They added that a high velocity rifle and a quantity of ammunition were also uncovered on-board a vessel docked at Port Purcell.